Tridip Suhrud’s authoritative Critical Edition of Gandhi’s ‘Autobiography’ shows something significant – the most illuminating reading of Gandhi happens when the works he wrote in his native Gujarati are read closely along with their English translations. This article was originally published on July 26, 2018. It is being republished on the occasion of Gandhi’s 150th birth anniversary. Recent years have seen a resurgence of interest in Gandhi. The resurgence is piquantly ironic. Just when he had brought his people to the threshold of freedom, and wanted them to adopt his Hind Swaraj vision and initiate the making of a new harmonic world, they rejected Gandhi as being obsolete and irrelevant. Practically little of that rejection has changed, and yet Gandhi is seriously back – the world over, not just in India. What does this renewed remembrance, in the face of the non-acceptance of his alternative civilisational vision, mean? Anyone feeling drawn to Gandhi has to ask and answer this question. There is no easy engagement with Gandhi. And no engagement with him is meaningful without engaging with the self, the most difficult of all engagements. The best on Gandhi, my supervisor professor V.N. Datta memorably told me, is Gandhi. The best beginning is through An Autobiography or The Story of My Experiments with Truth. 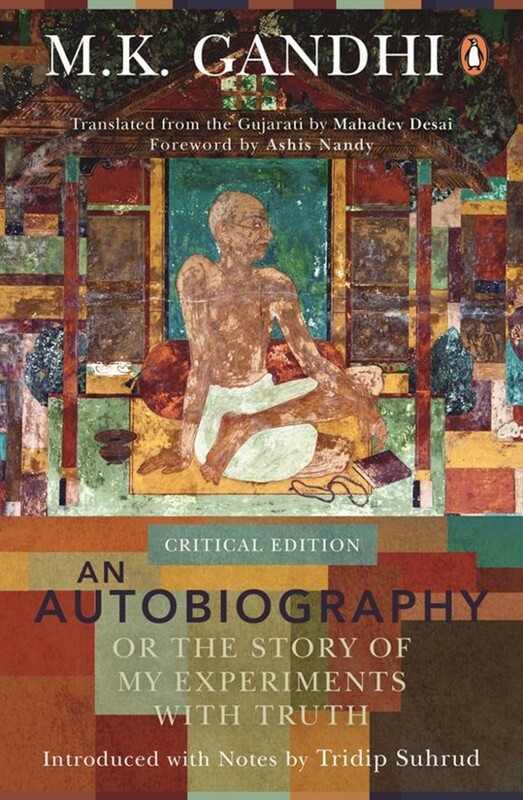 Now that Tridip Suhrud’s Critical Edition of the Autobiography has come out, it is the best, the most authoritative version for anyone seeking to understand Gandhi’s life and mind. Indeed, even serious scholars of Gandhi, who might have already studied this work, will benefit immensely from this epochal publication. Developing over the years an insight Bhikhu Parekh provided in his seminal 1986 paper on ‘Gandhi and His Translators’, Suhrud has shown that the most illuminating reading of Gandhi happens when the works he wrote in his native Gujarati are read closely along with their English translations. The first work Suhrud, in collaboration with Suresh Sharma, took up for such close comparative scrutiny was the Hind Swaraj. Suhrud and Sharma prepared a masterly annotated edition of the Hind Swaraj, closely examining Gandhi’s original Gujarati text and his own English translation of it. They demonstrated that what Gandhi actually translated was the original text in his mind – of which the original Hind Swaraj was a verbalisation in Gujarati – and not the Gujarati verbalisation. Based on that close reading, the two collaborators also translated the work in Hindi and brought out a bilingual English-Hindi edition of it in 2010. Marking minutely – barring paragraphing – even the slightest variation between the Gujarati and the English texts, Suhrud’s copious notes provide occasional glimpses of the fluidity of Gandhi’s thoughts as he verbalised them. The experience is heightened by the inclusion in this close comparative reading of Gandhi’s and Mahadevbhai’s texts, of the changes that were made, on condition of anonymity, by V.S. Srinivas Sastri in the original English ‘translation’ (what we now read as Gandhi’s Autobiography). For instance, explaining the purpose of the enterprise, Gandhi says – in the English text – that although he is narrating his ‘experiments’ after deep introspection, “I am far from claiming any finality or infallibility about my conclusion.” The Gujarati original says this: “But I do not ever wish to make a claim that conclusions thus arrived at are final for all, that they are true or only they are true.” The plain disclaimer of any “finality or infallibility” in the English text is unpacked in the Gujarati text, detailing the various things Gandhi was thinking of. 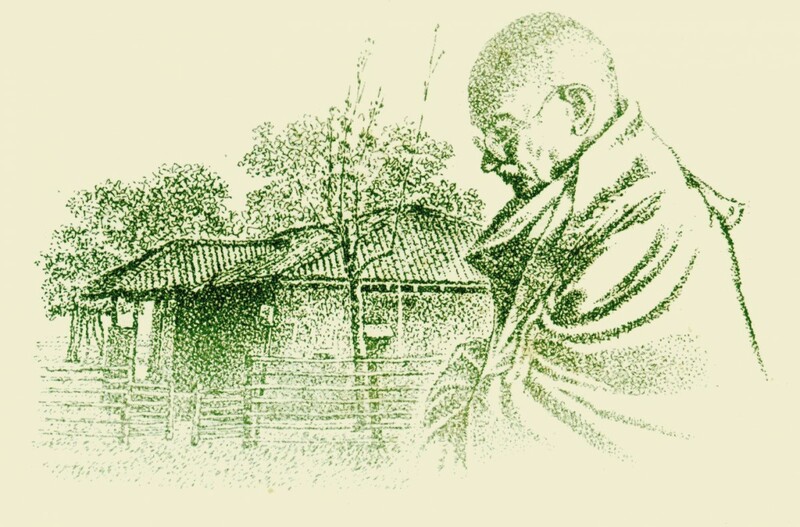 To offer one more out of many such illustrations, in a chapter describing the kind of changes he was cultivating as a student in England, Gandhi says in the English text that his aspiration was to be “an English gentleman”. The same aspiration is described in the Gujarati original as one of becoming sabhya, civilised. Little of the total cognitive-cultural surrender that inspired educated Indians to thus ‘civilise’ themselves is conveyed in the aspiration to be “an English gentleman”; the latter could as well have been just pragmatically motivated. Suhrud’s Critical Edition also carries a masterly ‘Introduction’ that puts the work in full perspective. It draws attention to some of the key activities Gandhi undertook simultaneously with the penning of his experiments with Truth, thereby highlighting the pure atmosphere that surrounded the exercise. The writing commenced precisely when Gandhi went on a seven-day penitent, purificatory fast (on November 24, 1925). Besides, he resolved not to stir out of the Sabarmati Ashram during the whole of 1926. This physical in-dwelling also meant dwelling within himself. In fact, out of the 1,167 days over which the autobiography was written and serialised, Gandhi was at the ashram for 685 days. Given the demands of his public life, this was exceptional. Also, around this time – beginning February 24, 1926 – Gandhi began his daily discourses on the Gita which continued for 218 days till November 23, 1926. 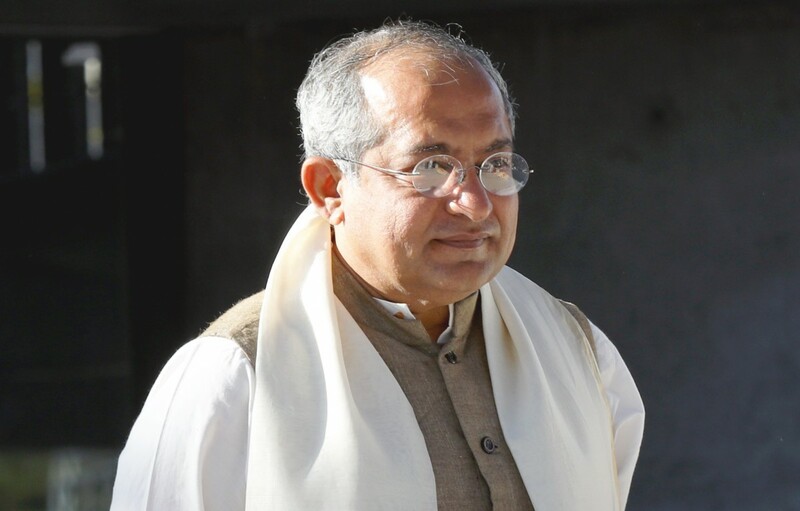 In addition, he began lecturing on Christ and the Bible at the Gujarat Vidyapith. This interconnection is palpable enough for everyone to see. But Gandhi saw, and was directed by, a larger connectedness of things and ideas. Reminding us of this lodestar in Gandhi’s life and thinking, Suhrud shows how, as one seeking to know himself and attain moksha – to see truth (God) face to face – Gandhi necessarily had to be “an ashramite, a satyagrahi and a seeker after Swaraj.” Also that search for Truth, in turns, necessitated cultivation of ahimsa and brahmacharya. I am inclined to put in a caveat here. Gandhi’s way of dealing with challenges to his narrative was not always unexceptionable. Let me mention, by way of example, the case of Reverend S.R. Scot, which Suhrud himself has cited to support his evaluation of Gandhi’s treatment of his criticism. Taken aback by the chapter titled ‘Glimpses of Religion’, Scot wrote a personal letter to Gandhi, contradicting the latter’s account of how as a schoolboy in Rajkot he developed a dislike for Christianity on account of the conduct of Christian missionaries who “used to stand in a corner near the high school and hold forth, pouring abuse on Hindus and their gods”; and also because he had heard that conversion to Christianity required eating beef, drinking liquor, and “going about in European costume including a hat”. Scot claimed that he was the sole missionary in Rajkot at the time. Gandhi asked him to write a rejoinder and promised to publish it in Young India, reserving the right to publish his response to Scot’s comments. Suhrud believes that Gandhi did what he had promised. What Gandhi actually did was that he mauled Scot’s letter, reproducing from it a few fragments of his own choosing, and inserted his own far from persuasive rejoinder which occupied much more space than was assigned to Scot’s fragments. Suhrud is perplexed by Gandhi’s refusal, when the serialised autobiography was coming out in book form, “to make changes even while admitting to inaccuracies”. He comes up with two cognate explanations. One, because he was not writing a jivanvruttant, an autobiographical narrative, Gandhi believed “that facts were not of material significance to him”. Two: “… the story of the strivings of his soul was being written at the urging of his ‘antaryami’, the ‘dweller within’ or the ‘spirit’. It was not given to Gandhi to modify what came to him from the antaryami.”Whatever their abstract philosophical appeal, insofar as Gandhi’s experiments were not isolated from – indeed often impinged upon – real flesh-and-blood people, these explanations leave a good deal unexplained. The above critical comment is inspired by the conviction that henceforth Suhrud’s edition will be the one that generations of scholars and lay readers alike will trust. Should Suhrud – who may not have found at the Sabarmati Ashram archives the entire correspondence between Gandhi and Scot – find any merit in the caveat, he may use it for the next edition. He may, then, also like to check note 258 on page 377 relating to Gandhi’s recall of a comparison Gokhale made between Ranade, Telang and Mandlik. This Mandlik does not seem to answer to the description provided in the footnote. Gokhale almost certainly must have had V.N. Mandlik in mind. 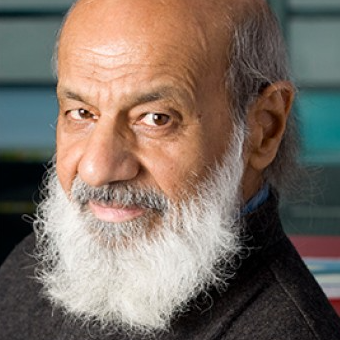 Sudhir Chandra is the author of Gandhi: An Impossible Possibility, Routledge, 2017.